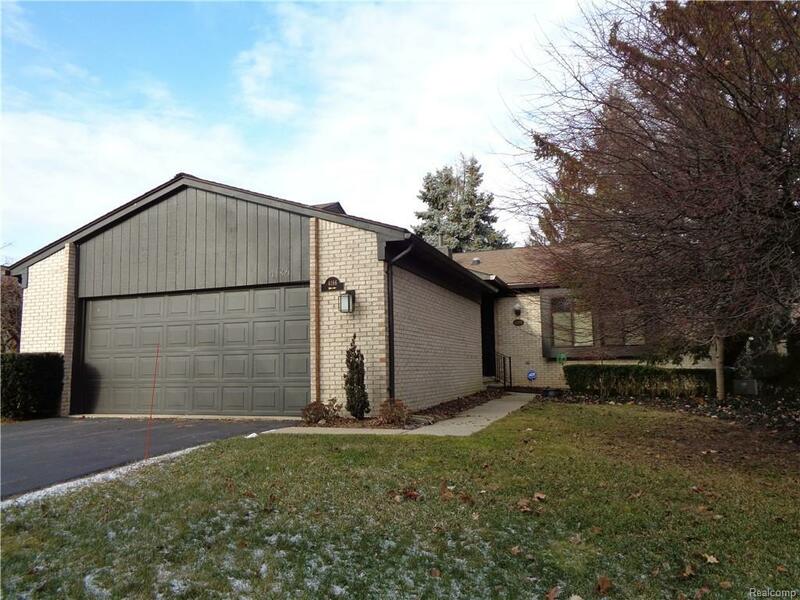 Hard to find Ranch Condo in "Wabeek Fairways West". End unit nestled in trees with attached garage and walk out lower level with patio and view of green space and trees. Spacious catherdral ceiling living room and dining area with gas fireplace. Family room also has catherdral ceiling and door wall to upper level deck. Updated kitchen featuring granite counters, stainless appliances and great working space combined with eating area and door wall to front porch make this area so inviting. 1st floor master bedroom with abundant closets all with organizers. Walkout lower level with two bedrooms, full bath, laundry, office or library and huge area for workshop or crafts. The attached two car garage features a buffer area for a "noise free" zone adjoining condo. Ceiling Solar tubes with auxiliary lighting have been added for additional natural light on 1st floor. Newer windows, furnace, central air and water heater. This is truly a wonderful condo! All this with Bloomfield Hills Schools.